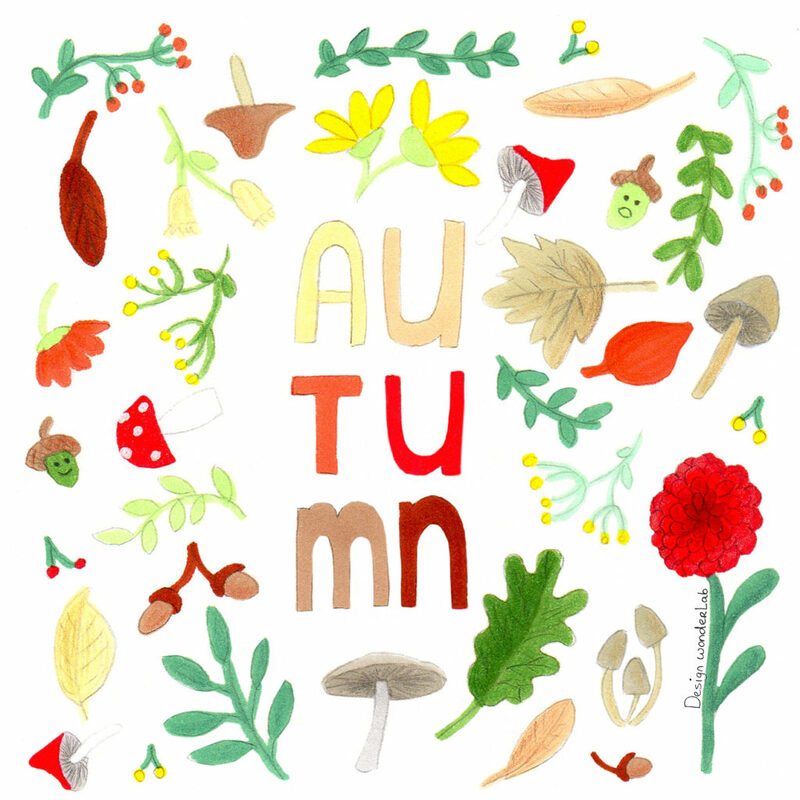 Autumn keeps fascinating me and I love to draw leaves, twigs, mushrooms and acorns. 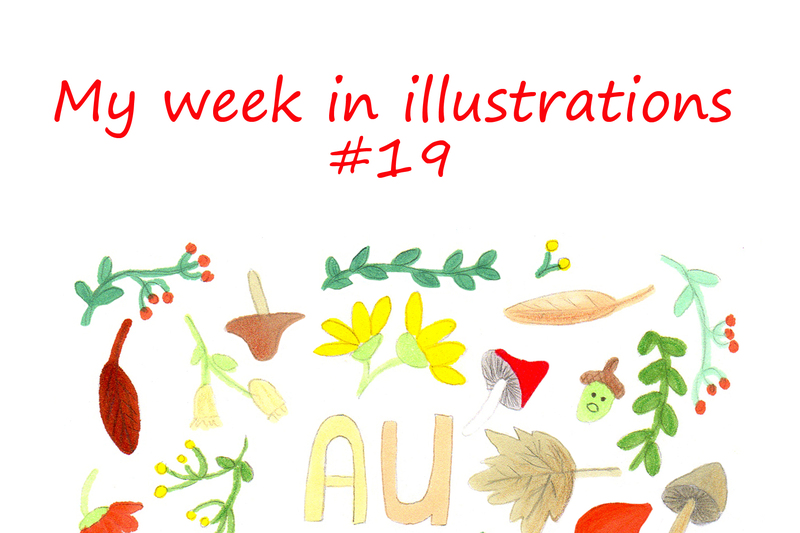 So that is what I drew for this weeks illustration.”Autumn paints in colours the summer has never seen” is a quote I see a lot this autumn. And I guess it is true. I am surprised every day by the beautiful colours the leaves are showing. You can walk by a tree every day and every day it will look different, because the leaves have changed colour just a little bit and some leaves have fallen, so the tree is a little more bare every day.